Οι Σουηδοί H.E.A.T., το συγκρότημα που επανέφερε το Hard Rock στην επικαιρότητα, για μία, πρώτη και μοναδική εμφάνιση στην Αθήνα, το Σάββατο 30 Μαρτίου 2019, στο Gagarin205 Live Music Space. Μαζί τους, μετά από αρκετό καιρό, οι DangerAngel, ένα από τα σημαντικότερα ελληνικά Hard Rock σχήματα της τελευταίας δεκαετίας, σε μία από τις σπάνιες εμφανίσεις τους μπροστά στο ελληνικό κοινό. Τη συναυλία ανοίγει ο D3lta, ως εκπρόσωπος του νέου αίματος της αγγλόφωνης ελληνικής rock σκηνής. Όλα τα σημεία προπώλησης θα διαθέτουν φυσικά, συλλεκτικά εισιτήρια. In January 2009 began an exciting year in H.E.A.T history. First in line was a five week European tour with the German metal-greats Edguy, as headliners followed by the Swedish qualifiers for the Eurovision song contest with the song ì1000 miles which became a huge hit in Sweden. The first album was re-released with the 1000 miles single as an additional CD and the touring began all over Sweden. In late 2009 H.E.A.T entered the studio BoomRoom in Boomtown, Borlänge to begin the recordings of the follow-up to “Heat”, “Freedom Rock”. The album was released in May 2010. During the recordings H.E.A.T began to grow a slight distance to singer Kenny Leckremo who had more or less moved to England. After an English tour in spring 2010, Kenny eventually informed the rest of the guys that he no longer was the singer of the H.e.a.t due to personal reasons. Determined not to let the band fade into history, a few days after, the search for a new singer began. Around 200 applications came in and a lot of good singers applied for the part. 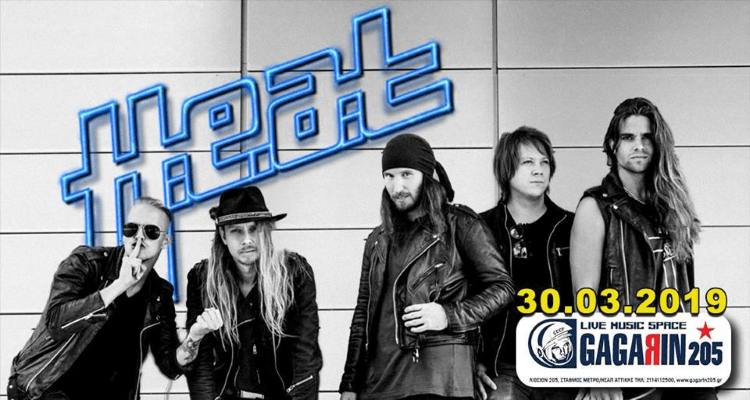 During this time the band got in touch with Swedish Idol winner Erik Grönwall who was asked to do stand-in gig in Sweden (which later on became Kennyís final show). He declined the proposal as he had his schedule filled with his own career, although the seed of becoming the singer of a successful rock band had been planted. A couple of weeks after, Jimmy met Erik on a release party and asked him straight out if was at all interested in the gig. A meeting was set up with H.E.A.T, Erik and his manager Petri H. Lundén and after attending the show he was asked to stand-in on, he decided that his destiny lies with H.E.A.T. Along with Erik’s arrival came Petri and Hagenburg who told the guys to lock themselves in whatever dungeon they could find and write music until their brains melted. And so they did. Everyone was involved in the immense writing process that took little over a year. A thousand ideas flowed and the creative chemistry had never been better. A record deal was signed with GAIN/Sony music. Together they choose which songs to record from a total of about 30 songs. Through GAIN they got in touch with Grammy award winning producer Tobias Lindell and the legendary “Studio Bohus” in Gothenburg. After a meeting they felt that this truly is the man to deliver the sound of H.E.A.T in the future. November 9th 2011 H.e.a.t entered the studio to record their 3rd album “Address the Nation”. “Address the Nation” was released in March 2012 worldwide with the epic song Living on the Run as the vanguard. A lot of touring and hard work began for the guys and 2012 turned out to be a great year in the H.E.A.T history. They played in every corner of Sweden, including shows at mighty Sweden Rock Festival and Skogsröjet. They played big TV shows and got nominated for a Rockbjörn award, a big and prestigious award in Sweden. H.E.A.T also recorded their first two music videos, one for “Living on the Run”, and one for “It’s All About Tonight”. The Address the Nation circus continued in 2013 and the guys loaded their guns and headed out to conquer Europe. With 10 headline shows in Germany, England and Spain, they proved to the European crowd that they were a top class live act. 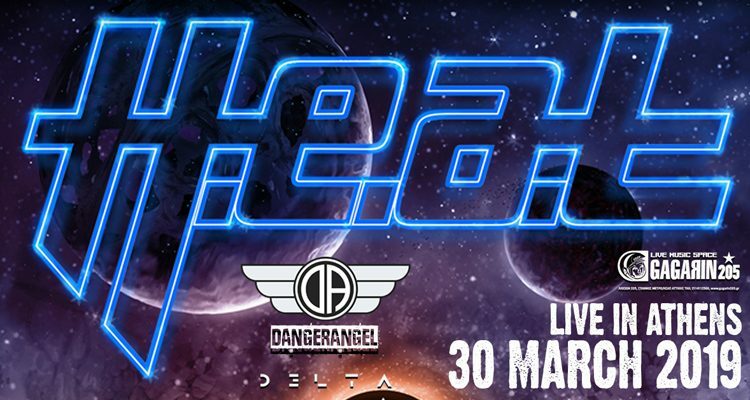 In the summer of 2013 H.E.A.T played festivals in Germany with bands like Journey, Whitesnake and Europe and played at the legendary festival Firefest in England. This, together with H.E.A.T breaking new ground in the far east of China with a 10 date tour and the Rockalies-festival in France, marked the end of the Address the Nation-era and the start of something new. Despite these hectic two years, the guys still managed to keep the song writing going and in August of 2013 they once again entered Studio Bohus with producer Tobias Lindell to record their fourth album entitled: “Tearing Down the Walls”. This time without guitarist and songwriter Dave Dalone, who before entering the studio, decided to take a good three years off to focus on martial arts. With this album H.E.A.T had once again created a great hard rock album with the right blend of melodic and heavy songs. Singer Erik Grönwall about the title: “Tearing down the walls is about breaking free from your mental walls that are holding you back. Go out there and try new things, don’t let yourself be your own worst enemy. Tear down the walls”. Tearing down the Walls was released April 11th, and the EP “A Shot at Redemption” February 12th. They kicked off playing in Madrid with Scorpions in March and 2014 and in May they did a three-week long tour covering Germany, England, Holland, Italy, Belgium, Switzerland and Norway. The summer was filled with big festivals in Spain, Sweden and Finland and H.E.A.T once again opened for Scorpions in Padova, Italy. During this period, H.E.A.T went to U.S.A for the first time, headlining the Melodic Rock Fest in Chicago. Shortly after that, they were headlining Firefest in the UK. On September 22nd, H.E.A.T released their 5th studio album. The great unknown shook things up quite a bit amongst the audience while also withheld its pride with some of the most amazing reviews in the history of the band, from critics all over the world. H.E.A.T have, since the release successfully been touring England, Germany, Spain, Italy, Norway Sweden, Denmark, Belgium, The Netherlands, Switzerland, Austria France, Scotland and Japan.